The Tassajara Fire burning in Monterey County has burned 1,086 acres and is 100 percent contained as of Sunday, according to Cal Fire officials. 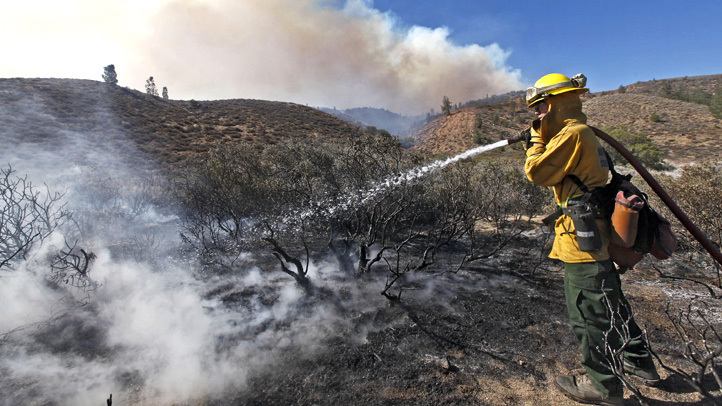 The fire, which started Sept. 19, is in the area of Tassajara Road at Carmel Valley Road. It has destroyed 12 residences and eight outbuildings and has damaged at least one residence. There are 59 firefighters currently working on the Tassajara Fire. All evacuation orders and road closures have been lifted, according to Cal Fire. Firefighters are continuing to mop up and patrol the fire area and are making sure hotspots are mitigated and control lines are strengthened, fire officials said.